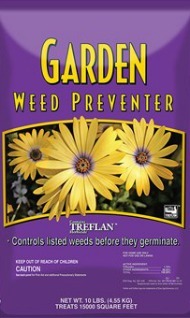 Take care of those summer weeds now before they start with one of our preventers. They have been used with great results for years! Once your plants are in and growing, these products can be successfully used both in flower and vegetable gardens. May we recommend the ORGANIC Corn Gluten for your vegetables. Corn Gluten is available in Bonide’s “Maize” hose-end-spray , Concern granules, or from Preen…in its convenient shaker bottle with the purple lid. Concern is also available in large bags for lawn applications. 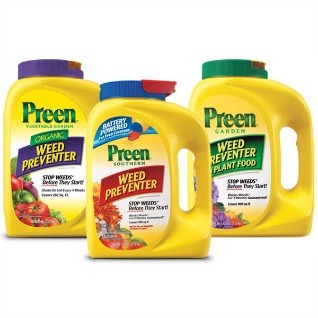 Non-Organic weed control is available in Preen with the red cap, or with Preen green cap which contains fertilizer. 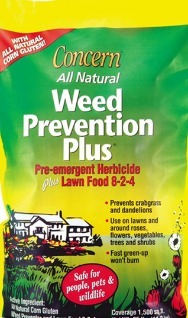 You can also use Garden Weed Preventer in the 10 lb. bag – ALL are from Lebanon SeaBoard and contain Treflan. For larger jobs, the 40 lb. Treflan 5K is also in stock. Stop in to Herbein’s today to see how these products can save weeding time in the summer heat.